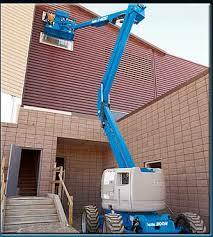 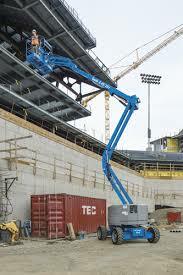 These articulating boom lifts are compact, versatile and powerful for any job up to 50 feet high. 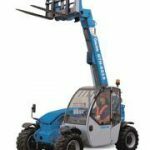 With four wheel drive, a tight turning radius and zero tail swing rotation, these booms are very maneuverable allowing you to get to work in and around tight areas. 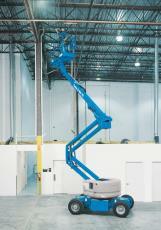 Equipped with a jib boom, rotating platform and 25ft of outreach, their “in air” maneuverability is even better. 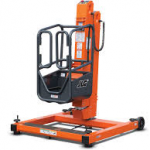 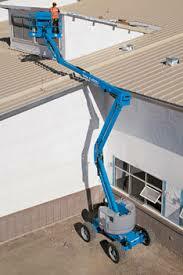 They can also be driven when elevated allowing you to get your job done faster. 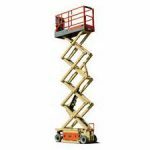 Scissor Lift – 26 Ft.